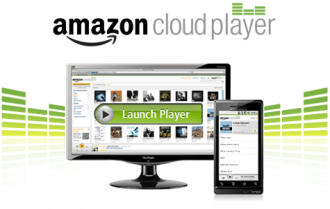 Amazon has launched their Cloud Player app for the iPhone and iPod touch. The native app arrives over a year after the service initially debuted in March 2011 for computer and Android users. Granted, Amazon did modify the service a couple of months later to work with iOS devices through a web client but a dedicated app will make things much more convenient. Upon startup, users are asked to enter their Amazon login credentials or create a new account if it's their first time using the site’s offerings. Once in, you’ll be prompted to add new music to the cloud. If you are pulling music from Amazon MP3, there’s even an option to enable automatic downloads from the store with regards to future purchases. Other options include the ability to prohibit download and streaming unless you are on a Wi-Fi connection to avoid using potentially large chunks of data from your wireless plan. Amazon customers will receive 5GB of free storage to start with but for a limited time, anyone who purchases a storage plan will receive unlimited space for MP3 and AAC (.m4a) music files at no extra cost. If you are unfamiliar, Amazon Cloud Drive is a digital music, videos, photos and documents vault. The music aspect called Cloud Player is similar in theory to Google Music and iCloud. The service allows users to store and access music through their computer or smartphone app via streaming from the cloud. It works with music purchased through Amazon MP3 or other sources like iTunes. The app is available as of writing free of charge in the iTunes store.